James Harden is one of the most stylish players in the NBA. Whether he’s wearing athletic clothes or a perfected tailored suit, Harden has a keen eye for fashion. 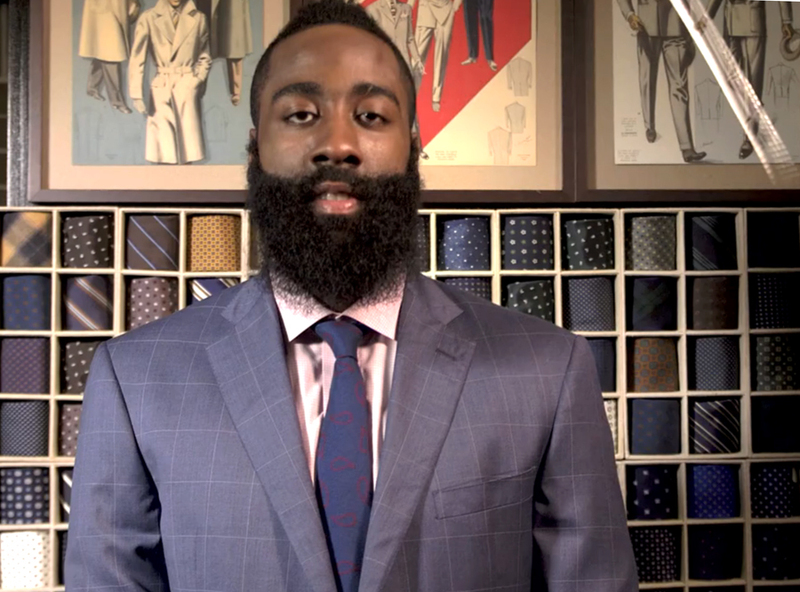 In this video, Harden shares his advice on how to select and wear a suit (we hope his coach, Kevin McHale is listening) while sporting tailored clothing and slick accessories from brands like Freemans Sporting Club, Hamilton, Turnbull & Asser, Montblanc, and Salvatore Ferragamo.